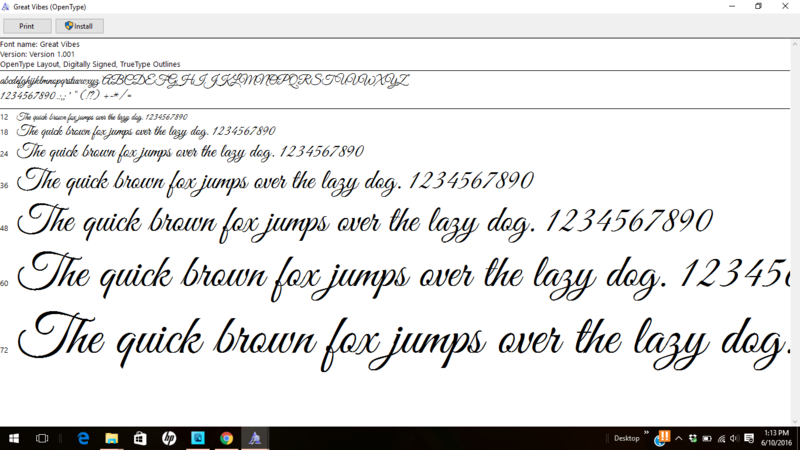 I have a love affair with fonts. I swoon over hand lettered swirls and thick downstrokes. 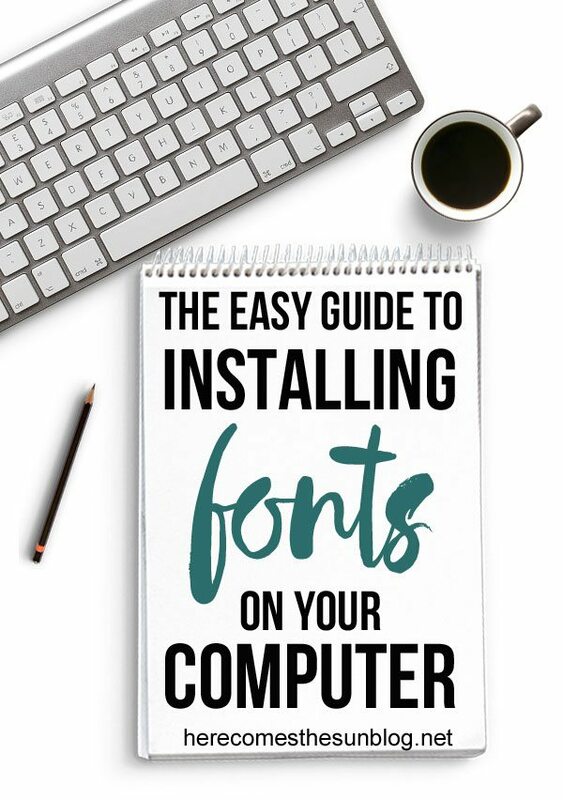 I have so many fonts on my computer and I find myself downloading and installing them at a faster and faster rate every day. Although installing fonts may seem difficult, it is super easy. The first step to installing fonts is to find a font that you like. 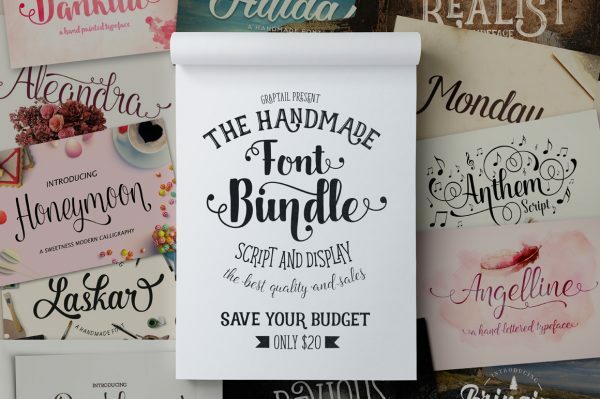 Currently, I’m in love with hand lettered script fonts and the place that I like to find them is Creative Market. Let me start by saying that Creative Market is not a free font site. BUT, every Monday they offer 6 items for free download and they usually have at least one font in the mix. AND they offer an amazing bundle full of a ga-zillion items at the beginning of each month. It’s the best site I’ve found for everything related to graphic design. Ok, so you’ve found a font that you love. The next step to installing fonts is to download the font to your computer. Every font site should have some sort of “download” button. Just make sure not to click on ads that say “download”. Sometimes those ads will install unnecessary programs onto your computer and that is NOT what you want. 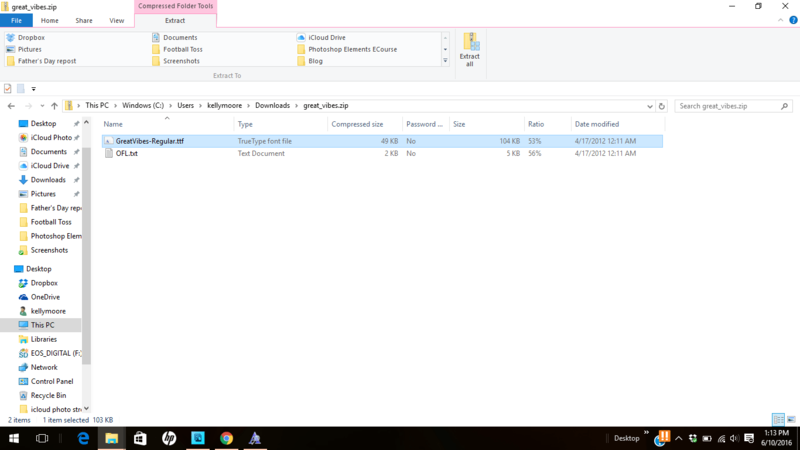 Navigate to your downloads folder (or wherever you saved the font file) and unzip the file. On my computer, the button to click says “Extract All”. On a Mac, it may be different. Once your file is unzipped, double click on the font file. The window shown below will pop up. Click “Install” and the font will be installed on your computer and ready for use. Pretty easy, right? One word of caution… make sure to save a copy of the file to the cloud or an external hard drive. We all know how computers like to crash and take all of our hard work with them. Creative Market has an awesome feature where everything that you purchase automatically syncs to your Dropbox account so you never have to worry! Creative Market also stores a list of all of your purchases so you can download them again if needed.